The latest film in the Marvel Universe series feels like nothing so much as a season finale. And since Joss Whedon was once the master of creating season finales that were both emotionally satisfying and thematically resonant, it’s good to have him in charge for the second Avengers movie, Age of Ultron. I’d like to compare it to the epic scope of Buffy’s “The Gift” but it feels more like Angel, if anything. Things change, the world moves on – and the best you can do is keep fighting. And embrace change. Tony Stark has always been flawed, but by the third film in his own trilogy, he seemed to have found an emotional peace. But with that peace comes the idea that he can use his technology – his faith in machines being his tragic flaw – to create a replacement for the Avengers. He births an army of robots to calm the populace and fight alien foes. Robert Downey Jnr’s Stark is such a towering figure in the Marvel Universe films – and to make him partly the villain of this new film is a strong dramatic choice. He creates the seeds of his own destruction, as Ultron later explains to the twins – the newly introduced to this series, Wanda and Pietro Maximoff. But his egocentric schtick is getting slightly old. He is the only character we believe could make these choices, but when he keeps making them, as the narrative decides that he must, it makes little sense. Yes, I’m applying logic to a superhero film that contains a super soldier, a giant green man and a Norse God. Luckily, though, in an ensemble film like this, other characters are allowed to shine – and Whedon smartly chooses to put a character or two at the centre that don’t have their own series yet. Much like Black Widow was the central figure of the first film, Hawkeye is the emotional centre of Age of Ultron. Natasha’s relationship with Bruce/the Hulk is a fine showcase for Scarlett Johannson and Mark Ruffalo, even though their subplot seems tangential to the main narrative. And it’s the moments that don’t quite fit in this film that makes Ultron somewhat tricky to love. It is like a season finale, because you can’t appreciate this film without seeing where all the characters have been – and have some investment in where they are going. The main story is clear but the character motivations make sense only in the context of other films. Some plot machinations rely on Marvel Universe knowledge – and even then, I was confused about Thor’s visit to the plot resolution cave. I described the first Avengers film as a character-drivenblockbuster. Ultron is definitely plot-driven, but it allows the characters to shine. And the contrivance of getting the gang to a farm to rest and recuperate allows Whedon the explore the characters in their down-time, while the villain formulates his next plan. And let it be said that James Spader is excellent as Ultron. 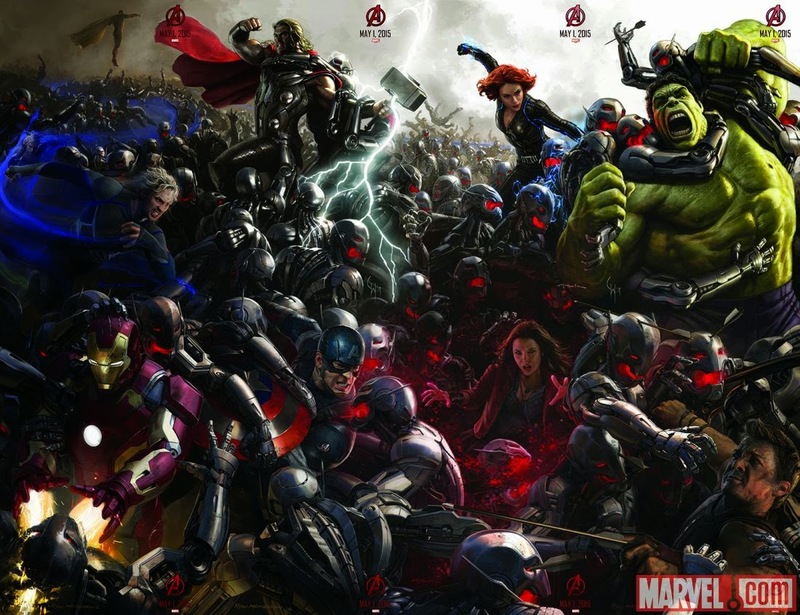 Age of Ultron is the longest Marvel Universe film and it has to be. It’s resolving plots that have built over 11 previous films and setting up stories for at least three future films (Civil War & Infinity War, Parts I & II). It has a cast of thousands – and makes that work most of the time. It’s amazing what multi-film contracts can look like on the big screen. Marvel Studios has figured out a way to bring back the classic Hollywood studio system, but in a way that the actors – and fans – win. By the end of the film, change has come. The Marvel Universe will no longer be the same. The Avengers you once knew will be different the next time you see them, in the aforementioned future films. No one film can be everything to everyone – that’s an aphorism usually directed at the audience. In this case, this one film can’t be everything to every character – but it gives it a damn good go of it. And now, because the Marvel Universe is everywhere, I guess it’s back to Netflix to keep watching Daredevil.